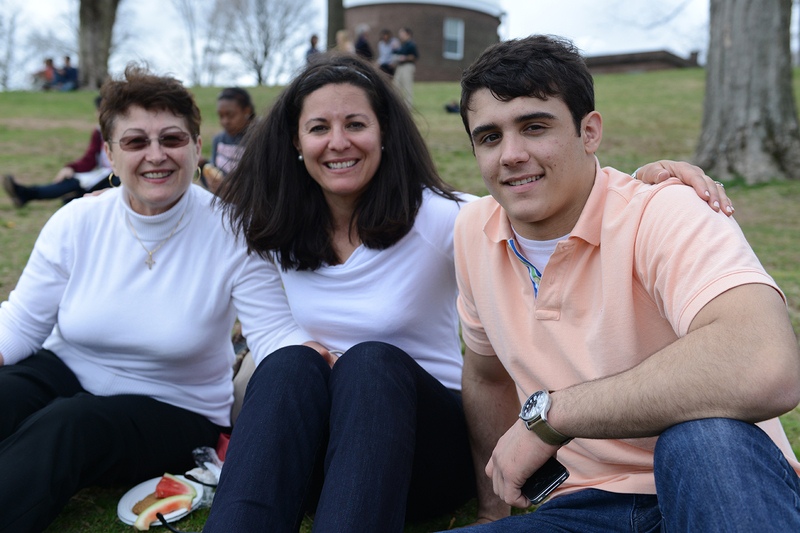 Hundreds of admitted Class of 2022 students and their families attended WesFest April 11–13 on campus. 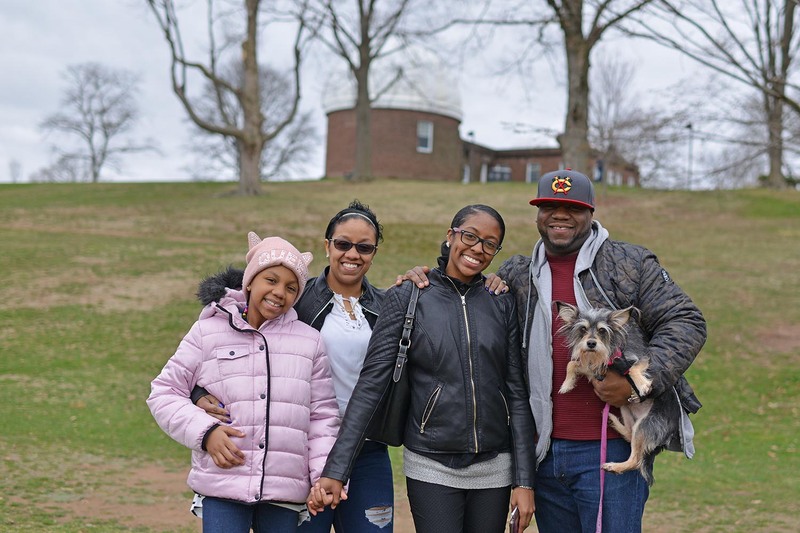 Guests had the opportunity to experience University life firsthand and explore the diverse opportunities that a Wesleyan education has to offer. 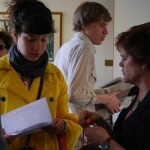 The admitted students had ample time to mingle with their future classmates during the event. 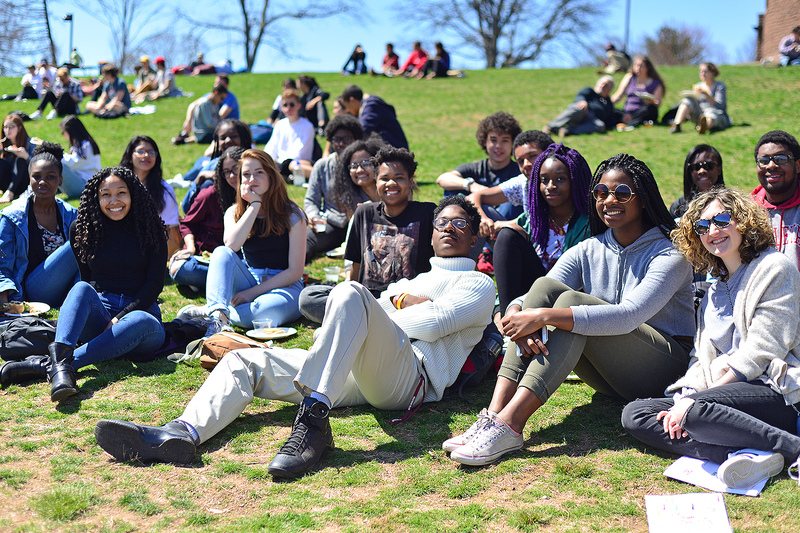 Admitted Class of 2021 students gather on Foss Hill April 14 during the WesFest picnic. More than 500 admitted Class of 2021 students and their family members attended WesFest activities on campus, April 12-14. 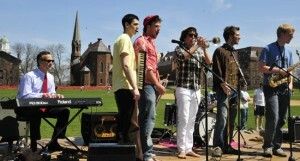 WesFest is a three-day celebration of all things Wesleyan. The Office of Admission invites all admitted students and their families to visit Wesleyan, experience university life first-hand, and explore the diverse opportunities that a Wesleyan education has to offer. 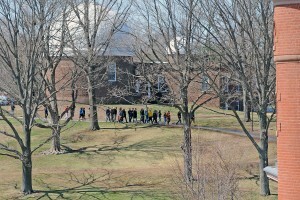 Several students groups and departments, such as the Office of Admission, posted WesFest images on Instagram and other social media sites. 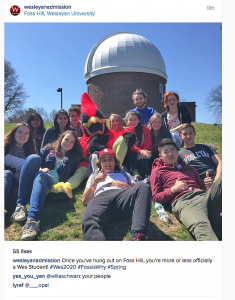 During WesFest, April 13-15, the Office of Admission invited all Class of 2020 admitted students and their families to visit Wesleyan and experience university life first-hand. 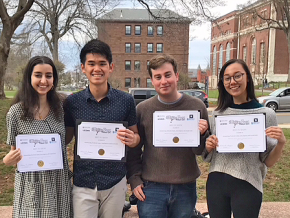 The three-day celebration allowed admitted students to explore the diverse opportunities that a Wesleyan education has to offer. Activities included campus tours, an all-campus barbecue, student band performances, a Student Activities Fair, department open houses, daily fitness classes, student-to-student and parent-to-parent panels, an a cappella concert, opportunities to attend classes and academic department open houses, and much more! Alumni Keynote Speaker, Bozoma Saint John ’99, head of global consumer marketing for Apple Music and iTunes, delivered the WesFest keynote address on April 15. In the fall of 2014, she was inducted in the American Advertising Federation Hall of Achievement and she now serves on the Hall of Achievement Executive Committee. 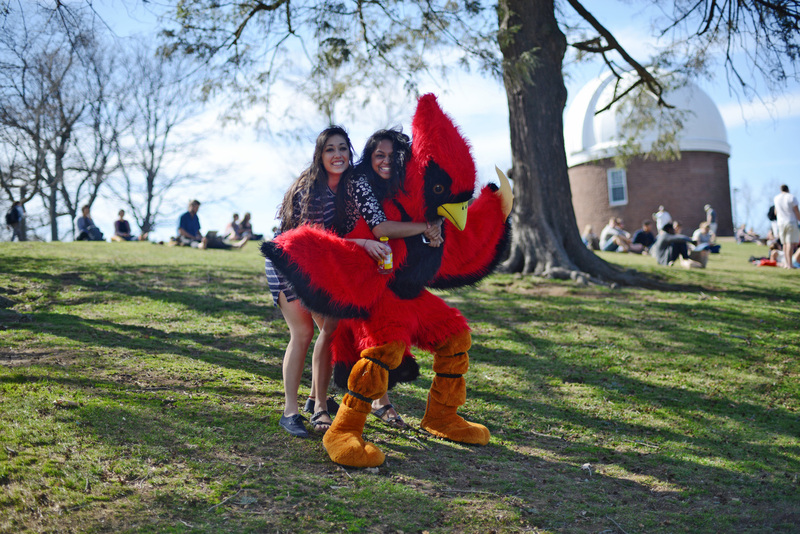 The Cardinal made an appearance, April 15. 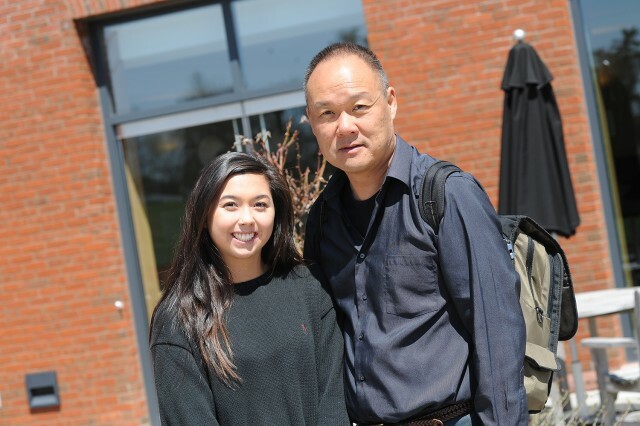 Jennifer Swindlehurst Chan attended WesFest with her father Kyle Chan. Jennifer is an admitted student. 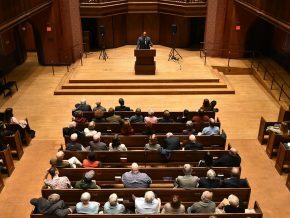 WesFest, the annual three-day celebration of all things Wesleyan, was held April 16-18 for admitted students and their families. 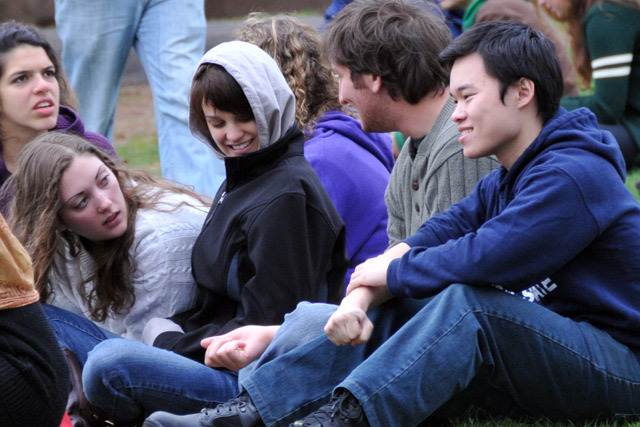 WesFest allows the students to experience university life first-hand and explore the diverse opportunities that a Wesleyan education has to offer. 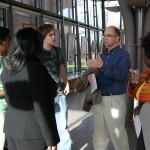 Admitted students and their parents tour campus on April 16 during WesFest. Jennifer Swindlehurst Chan of San Diego, Calif. attended WesFest with her father Kyle Chan. She learned about Wesleyan through its website and reading about it online. 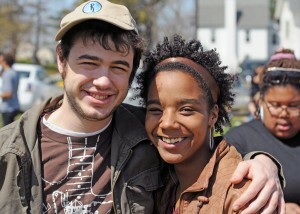 Hannah Levin of Philadelphia, Pa. attended WesFest with her mother Joan Joanson. 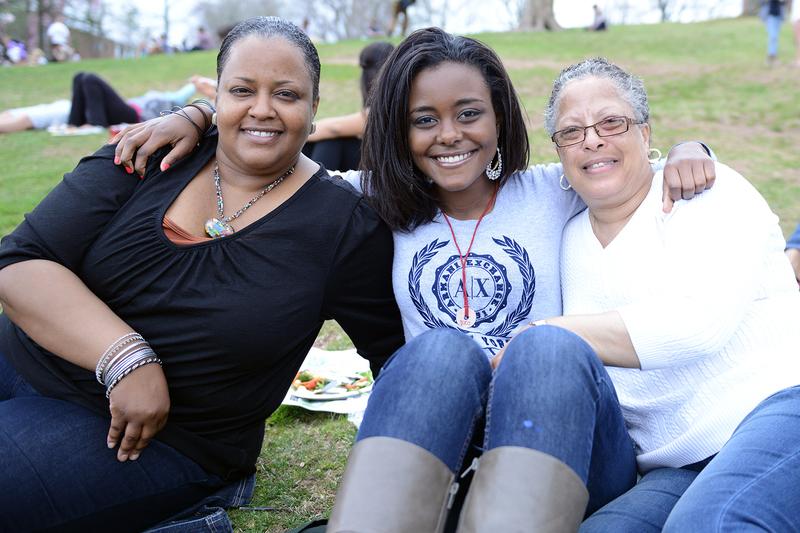 The mother-daughter duo, who enjoyed lunch at Usdan’s Marketplace, previously visited campus in 2012. “I applied to Wesleyan because I was looking for a liberal arts education that offered professor access and a science program. 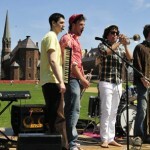 I also like Wesleyan’s vibrant and creative community,” Levin said. 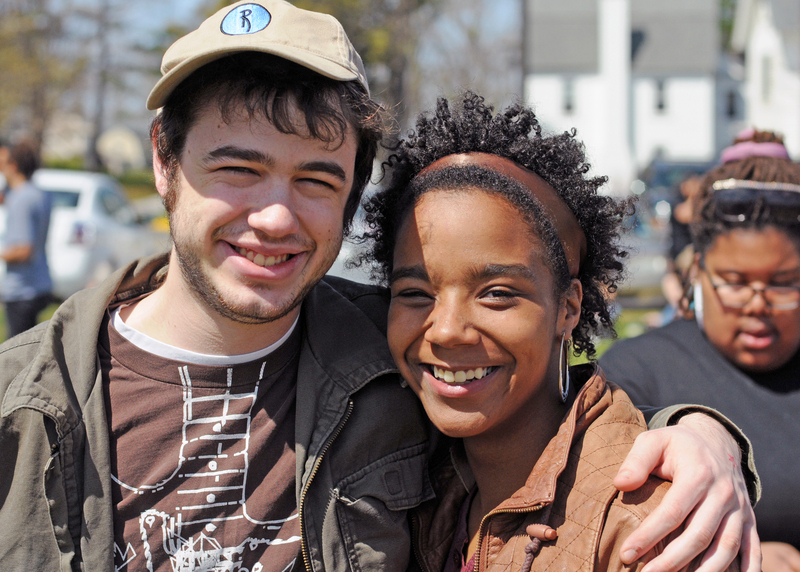 At the all-campus barbecue April 18, families braved unseasonably chilly temperatures to sit out on Foss Hill and enjoy lunch while a student band played. 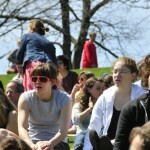 Caroline Diemer attended WesFest with her father. 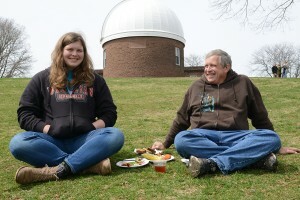 The two hail from San Jose, Calif.
Caroline Diemer of San Jose, Calif. relaxed over lunch with her father. 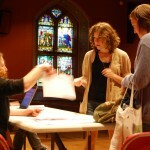 She had applied to Wesleyan early decision, and returned to learn more about the school she will be attending next fall. Diemer plans to play on Wesleyan’s volleyball team, so she hung out with her future teammates. 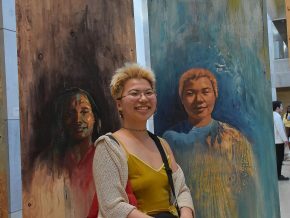 She also attended a class called “Living in a Polluted World,” watched an a capella concert, and spent the morning wandering the stacks of Olin. Despite the cold, she said she was really enjoying her visit. David Hoffman of Wilmington, Del. shared lunch with his parents. Visiting Wesleyan since the previous day, he had taken a tour, attended an info session, sat in on chemistry and architecture classes, and gone to a film screening. Anthony Springate of Louisville, K.Y. stayed overnight at Wesleyan with a current student. 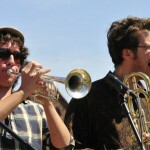 Photos of WesFest are below. 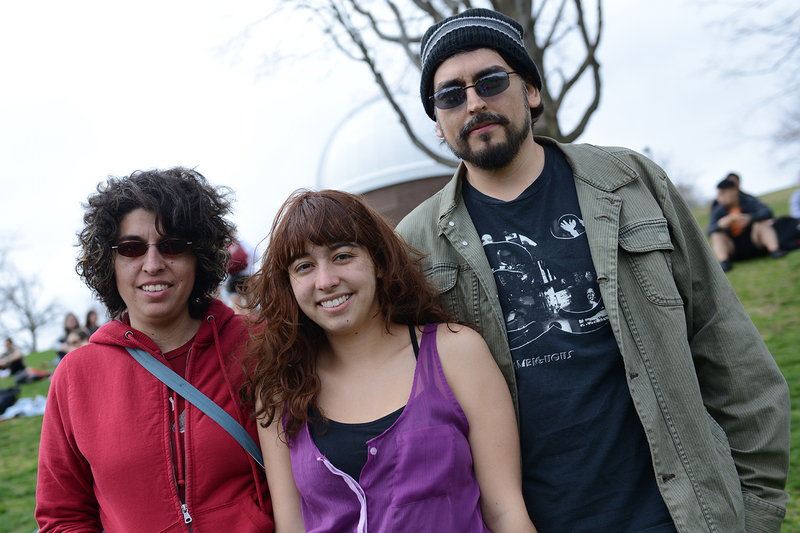 James Kellner of Verona, N.J. attended WesFest with his mother, Michele Kellner, and grandmother, Maria Montoto. More than 500 admitted students and their families descended on Wesleyan’s campus for WesFest, the annual celebration of all things Wesleyan. 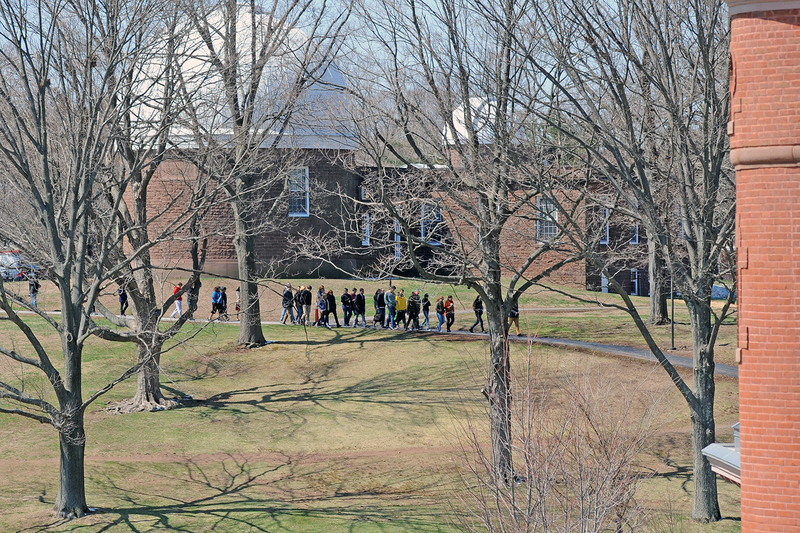 Between Wednesday, April 17 and Friday, April 19, they were treated to dozens of tours, panels, lectures and demonstrations to acquaint them with Wesleyan’s academics, student organizations, athletics and facilities. On Friday around noon, the sun came out and visitors took a break to enjoy a barbecue lunch on Foss Hill while a student band played. Cloie Logan and her parents came all the way from Albuquerque, N.M. Cloie fell in love with Wesleyan after visiting as a high school junior, and was accepted early decision I. “Basically since December, I’ve been aching to be here,” she said. 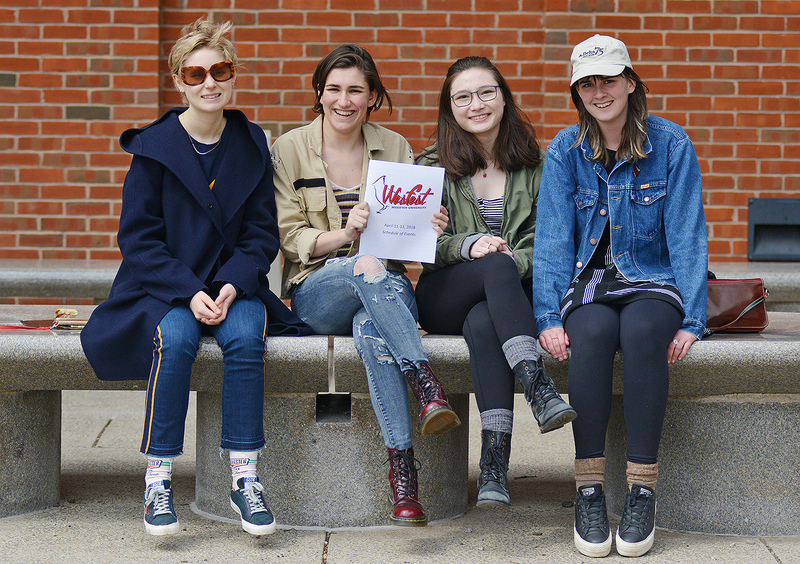 At WesFest, she said, “I ate a lot of really delicious food, went to a comedy show, saw Prometheus, went to a few department office hours, and visited the Argus,” where she hopes to work as a student. James Kellner of Verona, N.J. also was admitted early decision. He visited Wesleyan with his mother and grandmother, and met with the coach of the wrestling team, which he plans to join. He plans to study economics. Malaysia Johnson of Prince Frederick, M.D. attended a student-to-student panel and was impressed by how active Wesleyan students are in community service. She is pictured with her mother, Glenda Johnson, and her grandmother, Delois Johnson. 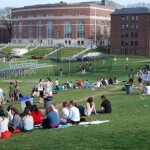 “I like all the different academic opportunities available to me at Wesleyan,” he said. Lucy Salwen of Amherst, Mass. visited with her mother. 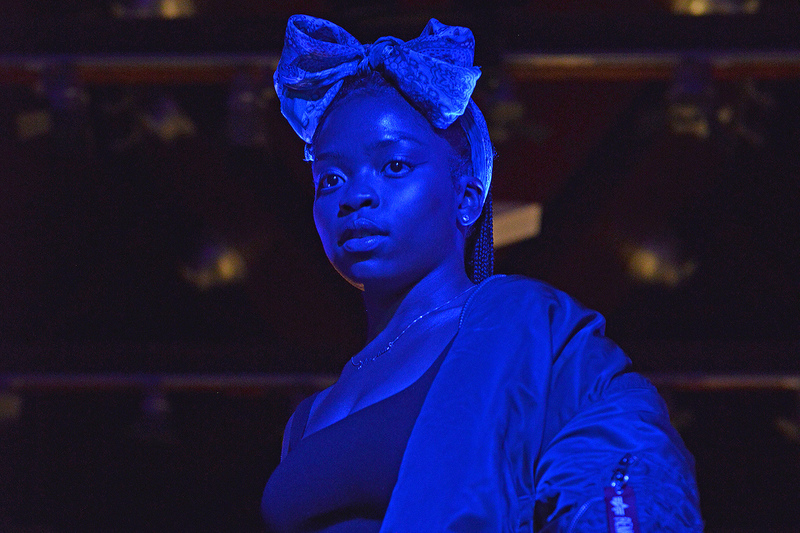 She sat in on an environmental science class, stayed overnight with a current student host, saw a performance by Prometheus—“That was really cool. 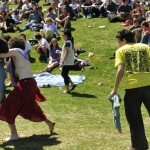 A little scary.”—and attended a co-ed ultimate Frisbee team practice. “I’ve been walking around campus and seeing the same faces again. It seems like a nice size,” she said. 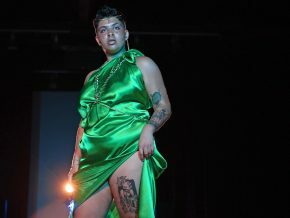 VIDEOS and PHOTOS of the event are below. 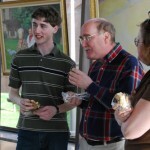 View the complete WesFest photo gallery on the Wesleyan Flickr page. 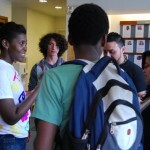 Wesleyan’s Office of Admission hosted WesFest for all admitted students April 15-17 on campus. 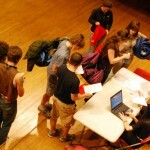 More than 500 students and their families attended the event to explore what Wesleyan has to offer. 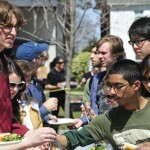 Pictured, admitted students enjoy a concert and barbecue in the West College Courtyard.